After completing your survey with the information, we reach the last and most important part of the study, the voice sample. 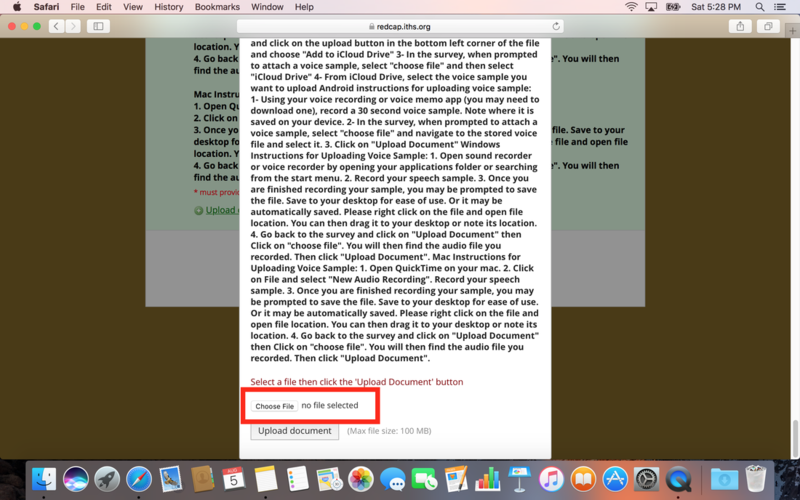 We will show you how to create the recording and upload the recording in this short written tutorial. 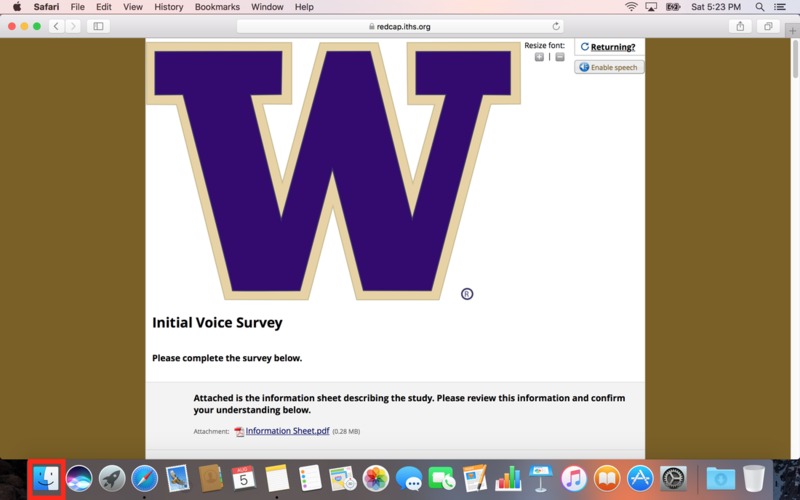 Feel free to contact us with the contact form at any time for assistance with creating a recording for research. 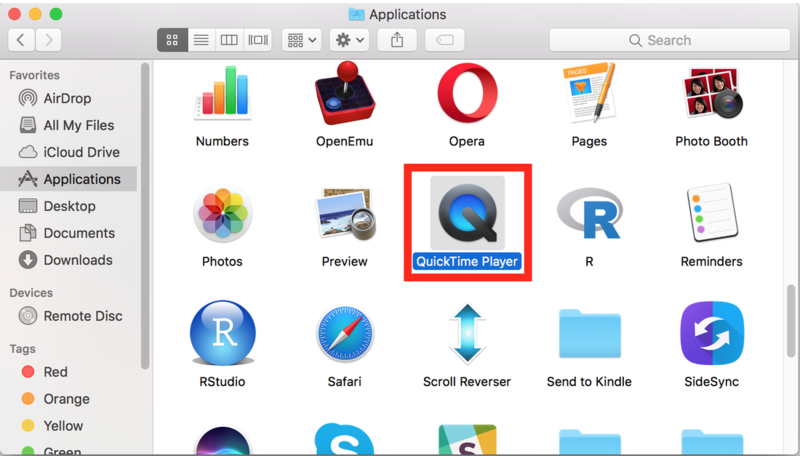 Once the application folder is selected, we want to scroll down to find the application labeled “QuickTime Player” and double click on it. 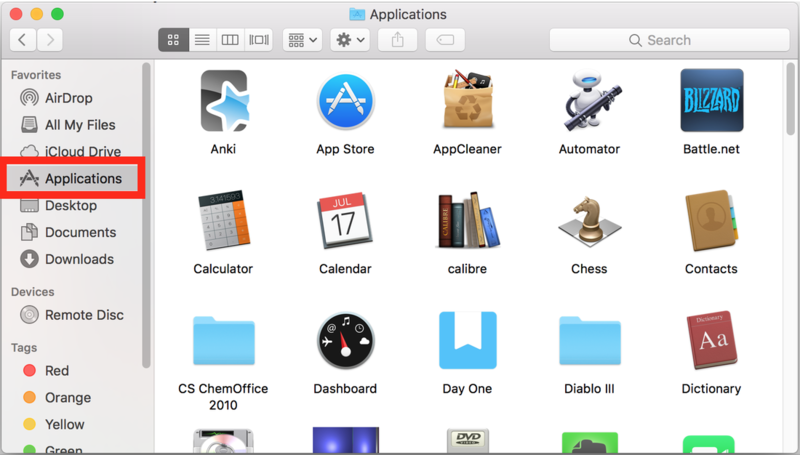 After we double click the “QuickTime Player” application the top menu bar will change. 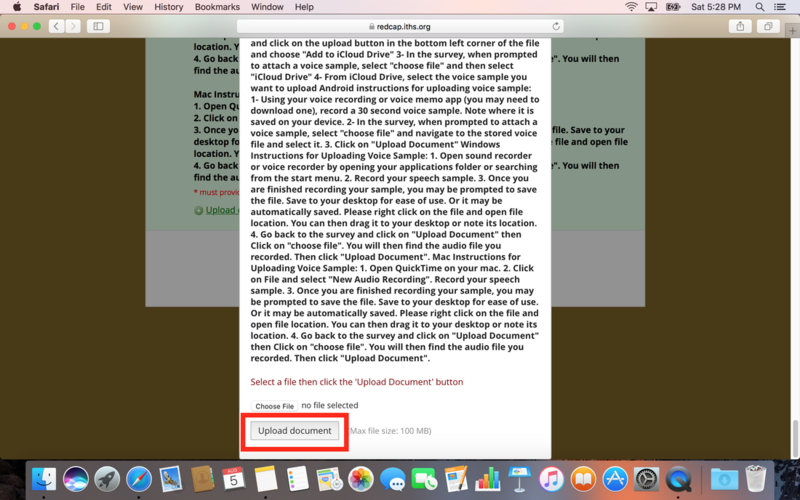 Here, we want to click the option that says “File” and a dropdown menu will appear. 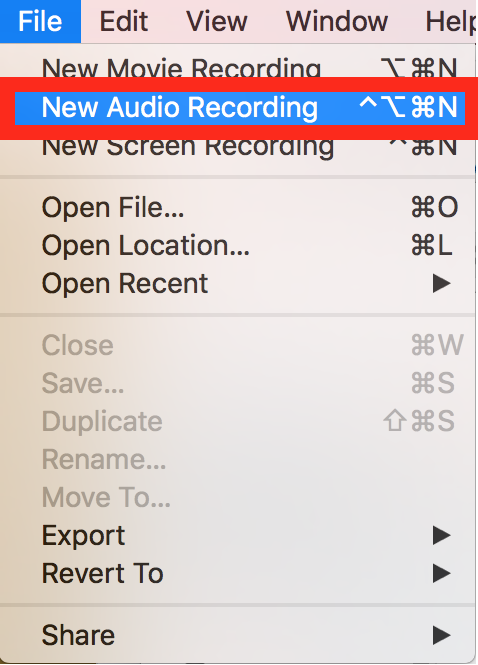 Under the dropdown menu, we want to click “New Audio Recording”. 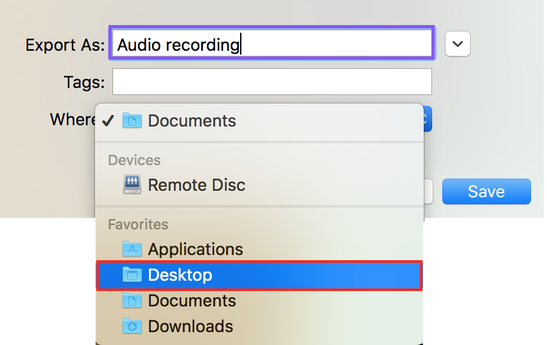 Doing so will prompt the following black recording window to show up. 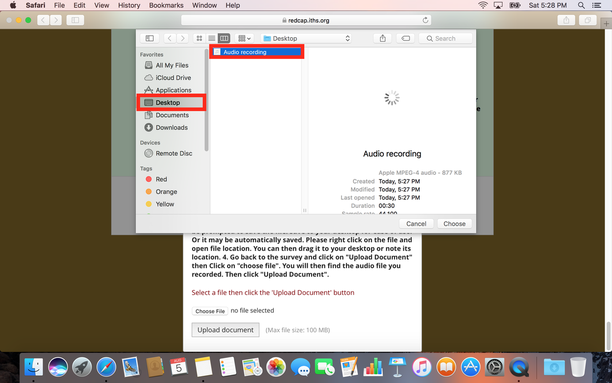 ​A menu will then drop down from the black window and you have the option to name the file under the “Export As:” box and to choose to save to the Desktop under the “Where” option. 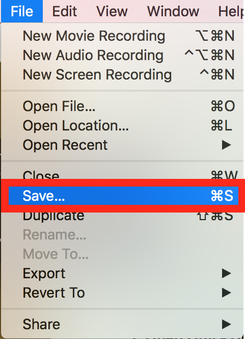 Saving to the desktop will allow easy access to the file for upload. 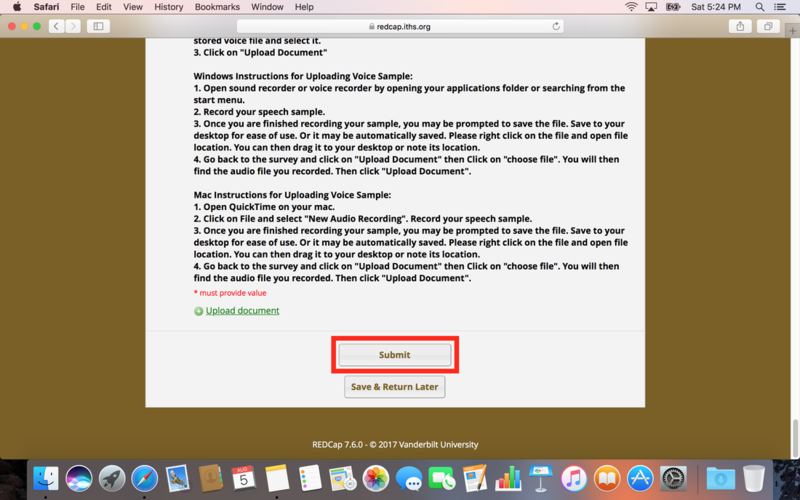 After saving the file, return to the survey and double click on the “Upload document” option to upload your newly created recording.